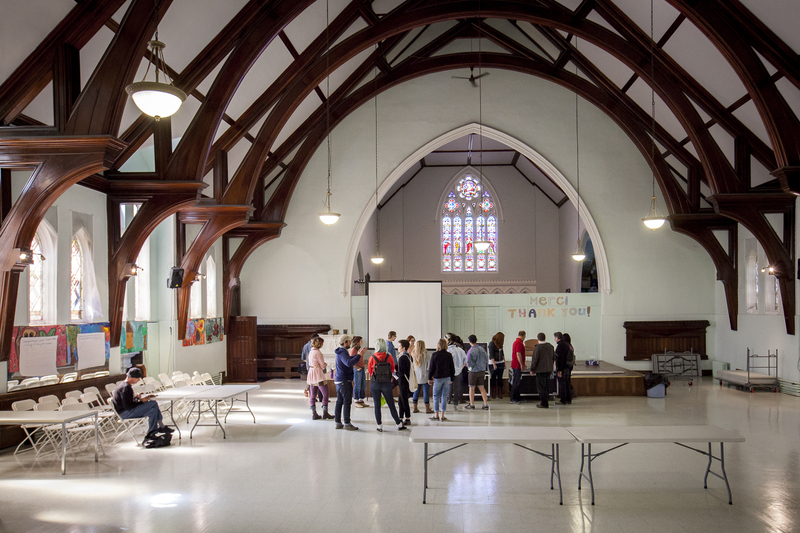 Studio Inquiry students will create research-­‐based artworks that take up course thematics of social and environmental justice in the post-industrial scapes of Pointe-Saint-Charles. Students may choose to create individual responses to the neighbourhood, work in partnership with students in other classes (such as creating artistic contributions to High’s sentier historique in Parc St-­‐Gabriel), or collaborate with local participants in social service agencies such as Madame Prend Congé , the Carrefour d’Éducation Populaire , and the Art Hive of Pointe-Saint-Charles, among many other options. Students will create and install artifacts along a visual trail route that links the Canal and the St-­‐Laurent River, as a permanent installation commemorating the 375th anniversary of Montreal.